The high desert outside of Las Vegas is what many people think of when they hear Nevada. To others Nevada is home to gambling, glamour and some pretty amazing shows. There is plenty of iconic symbols of the state, including the world famous “Welcome to Fabulous Las Vegas” sign, but how much do you really know about Nevada? Explore 15 fun facts about Nevada. Artist Betty Willis designed the “Welcome to Fabulous Las Vegas” sign in 1959 as a gift to the city she loved. She did not trademark the design as she felt it should be shared openly with Las Vegas. Las Vegas is Sin City, and a quick thinking ad agency in 2002 found a quirky way to sell the adventure without selling out the occasional tourist that had just a bit too much fun. The idea behind “What happens in Vegas stays in Vegas” was born and would show itself to the world in a variety of ads. The television ads often pointed to the carefree spirit of Las Vegas and a very specific code of sorts for friends traveling deep into the heart of Sin City. Frank Sinatra once owned the Cal-Neva Resort, which was unique as it was possible to stand inside the casino and straddle the Nevada and California border. During his ownership in the early 1960s the resort was a playground for the rich and famous but has fallen into disrepair. The current owners filed for bankruptcy last year but there are hopes of a new owner re-opening the property after a restoration. There are a great deal of rumors and urban legends surrounding Area 51 and it's connection to McCarran Airport in Las Vegas, Nevada. One big piece of the puzzle is the set of jets that fly under the code name “Janet” airlines that seem to fly workers to nowhere on a daily basis. 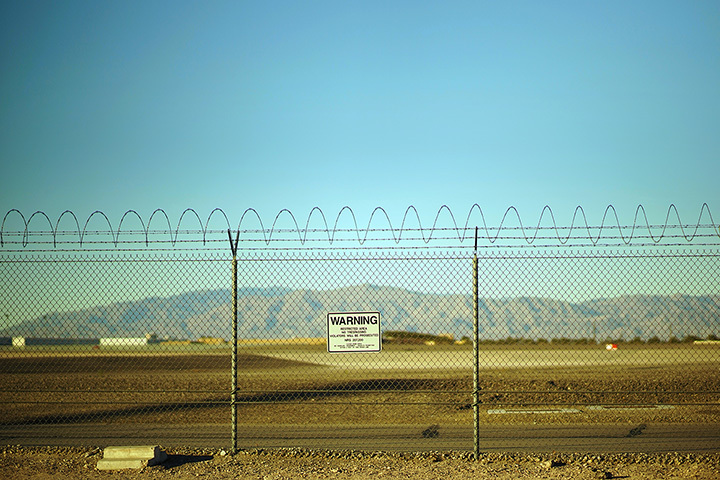 There is a great of speculation fueled by limited sittings that support the theory that the 1,000 workers that commute to Area 51 to do highly secretive work fly to work daily out of Las Vegas. The dam was originally named Boulder Dam and was built between 1931 and 1935. It would not get the name Hoover Dam until 1947 when it was renamed for Herbert Hoover after his work on the Colorado River Compact while serving at the U.S. Secretary of Commerce prior to becoming the 31st President of the United States. Although California holds the title as the “Golden State,” Nevada is actually the top producing state for both gold and minerals in general. Nevada produces more gold than any of the other states and it's vastly untouched deserts lead many to believe there is far more to be found. The biggest discovery was not made during the gold rush but instead in 1961. The Las Vegas Airport is the only airport in the U.S. where you can find slot machines and lots of them! You can also find slots in some other unlikely places in Las Vegas like many of the local grocery stores, convenience stores and more. Long before it was to become the state of Nevada, the desert was inhabited by several native tribes including the Washoe, Shoshone and Paiute tribes. The first non-native permanent settlement was not made by miners or even gamblers, but instead the Mormon church in 1851. With all of the mountains, it might be surprising to learn that Nevada also contains the lowest point in the western hemisphere in the middle of Death Valley. At 282 feet below sea level, this hot spot can reach 200 degrees in the middle of the hot season. The majority of the land that makes up the state is federally-owned, with Nevada being the home of highest percentage of federally-owned land in the country. This includes a variety of public areas like recreational areas and not so public areas like the infamous Area 51. Federal lands have long played a key role in some top secret projects including nuclear activities as well as the rumors surrounding the other worldly crafts of Area 51. The desert landscape of Nevada combined with the diversity of the mountains with wide open spaces make Nevada a safe place for wild horses to roam free. Horses have long played a significant role in native cultures in the area and still roam free to this day. While no one truly knows how long the lands of Nevada have been inhabited, the oldest human mummy in North America was found in Nevada. The find would come to be known as the Spirit Cave Man and has sparked some controversy as to whether the find should be displayed or given a native burial. Many people think of quicky weddings when they think about running off to Vegas, but the actual number of weddings in the city that never sleeps has actually dropped 37 percent over the last 10 years. Laws in the state in regards to how quickly one can get a marriage license have also changed, making it not as quick to get married there as it use to be. With over 40 million visitors yearly, Las Vegas needs lots of space to host our of towners. It is no wonder the city that is known for last minute adventures is home to more hotel rooms than any other city in the world. It is also home to more of the top ranked hotels in the world than any other city.